As a rule, cookies will make your browsing experience better. However, you may prefer to disable cookies on this site and on others. The most effective way to do this is to disable cookies in your browser. We suggest consulting the Help section of your browser or taking a look at the About Cookies website, www.aboutcookies.org, which offers guidance for all modern browsers. CampingF1 respects your privacy. Any information you give us is held with the utmost care and security and is only used for the purposes which you have agreed to. We do not under any circumstances provide or share your personal information with any third party. You are now asked to complete your Name, Home Address, email address and password. We ask for your Name and Home address so we can identify your booking, an email address so we can email you our confirmation of your booking with us. The password, along with your email address allows you access to the login area on the website (top right corner). The login area holds address details and directions for each campsite, these details are not on the confirmation letter. It is important that you login and download the relevant address details for your booking before you start your journey. We recommend you plan your route before leaving home. Our website is computer automated, so once payment, via PayPal has been confirmed, you will automatically receive our confirmation letter starting "Your Order Number CF1-SP-…...". Please check your inbox and spam folder within 1 hour of your payment to us. Please email the office for a duplicate copy if you cannot find the confirmation email. If paying via BAC’s confirmation can take up to 3 days. If after 3 days you have had not received a confirmation from us please email the office confirming payment details. In the unlikely event that the hosting Circuit or Formula One Management cancel the race weekend, it will be completely out of CampingF1 Ltd’s control. 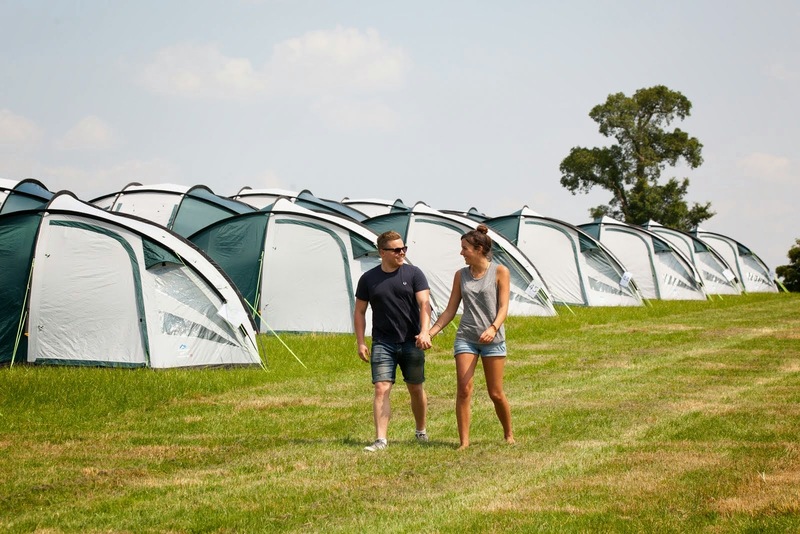 If this was to happen, CampingF1 will honour your booked accommodation with us by way of credit note that can be redeemed at any other F1 event that CampingF1 have a camping facility at. This credit note will be redeemable for 2 years from the date the credit is issued. If you wish to cancel your booking with us, we must receive this in writing, to our postal address or via email to admin@campingf1.com. If your cancellation is received before 45 days of the Race date, CampingF1 will refund 25% of your booking. If the Cancellation is received 45 or less to the Race Date – no refund will be offered. You can transfer the booking to another person, but there may be a small admin charge incurred due to third party services within your booking. Access to and use of any information on this website is conditional on your acceptance of the General Terms & Conditions without modification. Please read them carefully. We recommend you print out and keep a copy of them for your future reference. If you do not wish to accept any part of them, you must not use our website. In these General Terms & Conditions, "you" and "your" means any and all persons using this website "We", "us" and "our" means CampingF1 Ltd.
As a condition of your use of this website, you warrant to us that you will not use it or any material or information on it for any purpose that is unlawful or prohibited by these Conditions. You warrant that you are at least 18 years old and have the legal authority to use this website in accordance with these Terms & Conditions. You agree to be financially responsible for all charges, fees and other sums of whatever nature which arise out of your use of this website. This website is for your personal and non-commercial use. No part of this website may be reproduced in any form without our prior consent, other than temporarily in the course of using our service or to keep a record of a transaction entered into using our service. You may not modify, copy, distribute, transmit, display, reproduce, publish, license, create derivative works from, transfer, sell or in any other way use any material, information, products or services contained or featured on this website. The copyright in the material contained on this site belongs to us or its licensors. No warranties, promises and/or representations of any kind, express or implied, are given as to the accuracy or completeness of any of the material or information contained on this website or as to the nature, standard, suitability or otherwise of any services offered by us or on our behalf. We shall not be liable for any loss or damage or other sum or claim of any nature whatsoever (direct, indirect, consequential or other) which arises, directly or indirectly, in connection with this website including, for the avoidance of doubt and not by way of limitation, any use of any information or material contained in this website or any inability to access or use (or delay in doing so) this website. All exclusions of liability apply only to the extent permitted by law. If any exclusion(s) or limitation(s) contained in these Terms & Conditions is found, in whole or part, to be unlawful, void or for any other reason unenforceable for any purpose(s), that exclusion(s) or limitation(s) or the part(s) in question shall be deemed severable and omitted from these Terms & Conditions for that purpose / those purposes. Such omission shall not affect the validity, effectiveness or enforceability of the other provisions of these Terms & Conditions. The information contained on this website may contain technical inaccuracies and typographical and other errors. The information on these pages may be updated from time to time and may at times be out of date. We have the right to change the prices of the featured or mentioned options on this website at any time without prior notice. If any price is obviously incorrect, we will not be bound by it. We accept no responsibility for keeping the information on these pages up to date or liability for failure to do so. You must ensure you check all details of your booking (including the price) with us by telephone or other approved means at the time of booking. This website may contain links to other websites. Except where they belong to us, such other websites are not under our control or maintained by us. We are not responsible for the content of such websites. We provide these links for your convenience only but do not monitor or endorse the material on them. We cannot accept any liability whatsoever and howsoever arising in relation to any such other websites (including, for the avoidance of doubt and not by way of limitation, any inability to access or delay in accessing any such other website) or in relation to any material or information appearing on them or which you may otherwise come across after leaving our site by way of a hypertext link or any other means. We make no warranty that this website (or any websites that are linked to this website) is free from technical errors, computer viruses or any other malicious or impairing computer programs. Use of our website is without obligation. We reserve the right to change featured tents and all services contained within our offers without further notice.